What is Location Based Search Engine Optimization (SEO)? Some businesses have products or services which can be sold nationally – or even worldwide. Many businesses, however, market to a more local or regional market. Especially when service requires travel to a location in order to perform a service, many businesses market “locally” or within a certain distance from their store, office or plant. Location Based Search Engine Optimization or SEO helps clients to target search rankings for their business website for a specific locale or location. 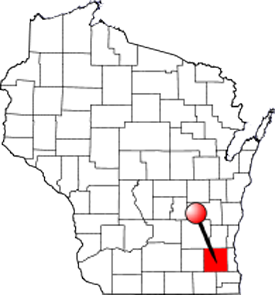 This locale can be a specific city but most often is a county of cities, multiple counties or a state. TechAnalysts, Inc. can assist clients in achieving first page search engine rankings for their website on Google for virtually* any industry. Through a combination of industry/business keyword or key phrase selection and location targeting, we help our clients to saturate an area giving them an excellent chance of having their website be on page one of Google for their search. For more information about targeting a specific area for your business website, call or click to contact TechAnalysts - your website consultants that understand business needs, design and search engine optimization. * As much as our results have been outstanding, we cannot guarantee first page ranking on Google because Location Based SEO is still organic optimization and many criteria are considered in the algorithm which determine which websites are first in a search.